Menopause is often associated with significant body changes, including weight gain and a loss of muscle mass. Over time, this can increase your risk for coronary heart disease, high blood pressure, obesity, osteoporosis, diabetes, and depression, among other conditions. Regular exercise can be helpful in combating these conditions, and some studies have shown women who perform aerobic activity or strength training have lower mortality rates from cardiovascular disease and cancer. While it’s easy to understand the benefits of exercise throughout your lifetime, actually incorporating a fitness routine into your day-to-day life can be a major challenge. While gyms offer a variety of options for workout spaces, exercise equipment, group fitness classes, and one-on-one professional guidance, relying on the gym to reach your fitness goals isn’t for everyone. For many people, the gym can be a socially daunting place. Whether you’re just beginning or you’re revamping your current fitness routine, walking into a room full of chiseled bodies can make you feel vulnerable or even defeated at the outset. Also, it’s not always clear where you should start in order to target specific muscle groups and achieve other fitness goals, and staring out across the array of weights and machines can be overwhelming. Fortunately, advances in fitness technology can help you take advantage of exercise options within and beyond the gym, helping you to exercise more frequently and stick to your goals. You may already be aware that fitness trackers, apps, and wearables can record factors like your heart rate, the number of steps taken, and the amount of calories burned. However, they can also guide you in setting goals and selecting specific training programs, and they can perform in-depth analysis of patterns associated with your weight, diet, and sleep. Here are some of the major benefits of incorporating fitness trackers into your exercise routine. One reason many of us fail to maintain (or even set) fitness goals is because we’re too busy to exercise consistently. Often, it’s just not possible to carve out large spans of time for exercise. It’s also easy to lose track and forget which exercises to do and when they might fit into your schedule. However, fitness apps can encourage you to exercise in small bouts throughout the day, rather than larger time commitments. With some planning up front, you might be able to find gaps in your schedule to exercise. It also helps that you’ll be working toward measurable goals rather than simply holding vague intentions of achieving better fitness. For example, you might plan to walk 10,000 steps every day. With a fitness tracker, you’ll be able to clearly tell how close you’ve come to your goal. Using fitness trackers to hold yourself accountable can actually change the way you think about exercise, making it more like a game. Soon you may find you’re looking for small ways to reach your goals, even without prompting from your fitness tracker. This can foster lifelong habits that will keep you healthy over time. While a variety of sensors in wearable devices are responsible for gathering information about your fitness habits, you’ll also need an app or other software to make sense of all the raw data. Many devices come paired with software, though these may not have all the features you’ll need to detect larger patterns and make effective changes in your lifestyle. For example, one app might display the number of steps you’ve taken in a day as well as the various intensities of exercise, while a more complex app could also collect data about your mood, the particular hours of the day you’re more likely to be productive, the days of the week when you’re most active, and which music you were listening to, among other factors. Some software can even draw data from other apps you use, such as a weather app. Being able to see a breakdown of such a wide array of details, you can identify where your greatest strengths lie as well as areas where you could improve. Some apps also allow you to create custom tracking tags to keep up with factors that might not be built into the software. This could include things like particular foods you eat, places you go, hobbies, medications, and medical symptoms. Combining all these possibilities, you can get a thorough and clear picture of how your lifestyle impacts your fitness goals. That perspective can mean the difference between failure and success. 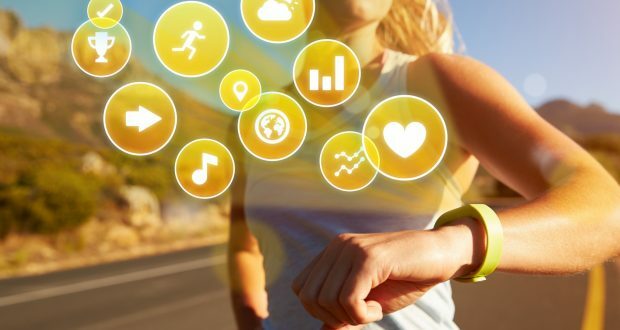 Although fitness trackers allow you to work more efficiently on your own, they can also help you connect with a variety of online communities. The value of individualized fitness plans is only increased with the support of other people who may have similar goals and struggles. Some communities are centered around specific purposes like weight loss, running, and strength training, while others are useful for general fitness. By sharing your progress online, you can get feedback, compete with yourself and others, and identify new challenges and strategies for achieving your goals. Some of these websites can also help you manage your diet and nutritional habits by allowing you to input your meals and estimate the amount of calories you’re taking in. Fitness trackers are changing the way medical professionals understand and respond to their patients’ behavior and health issues. By asking their patients to use wearable technologies and apps for telemedicine, doctors can monitor a person’s vital signs remotely and respond to unstable physiological states. Fitness trackers can also remind you about medication dosages and frequencies as well as any specific instructions from your doctor. For women going through menopause, fitness trackers can help you to record your symptoms, such as night sweats, hot flashes, changes in your sleep patterns, palpitations, and more. By recording these and tracking their frequency and severity, you can more easily work with your healthcare provider to find the treatments that will work best for you. Fitness trackers don’t simply offer doctors and patients the benefit of real-time monitoring. Over time, medical professionals could amass useful data from wearables that could help them provide better treatment plans for individual patients as well as recognize larger trends among different groups in society. This is especially true for people living in rural areas who may have little access to doctors and specialists. While this may not directly apply to your particular fitness goals, taking part in the rising trend of people who use fitness trackers could help these technologies to expand beyond personal fitness and improve the overall health of our society. If you decide to experiment with wearable devices or apps, you should do some initial research to ensure you choose the right fitness tracker to reach your goals. Typically, the more you pay, the more features your device will provide. Also, some fitness trackers are specifically designed for certain activities, so it’s worth making sure that whatever device you choose has software that will recognize your favorite exercises, like swimming, running, or yoga. It’s important to note that the task of improving fitness habits presents a number of challenges that will vary for each individual. You should always consult your healthcare provider before beginning an exercise routine as they can help you identify the best types of exercises to fit your needs. A fitness tracker might not be the best solution for everyone, yet for many people they can be a strong motivator, allowing for insight and improvement.